My city currently is #1 in Murders #1 in Car Thefts #2 In Robberys #1 in Overall crime In Canada. If you are a junior with hopes of playing in college, this is the thread for you!! College golf isn't really a major thing here. I won't make it anywhere either. I'll stick to high school competitions and fun play. That is simply amazing, he is a lawyer and still has an amazing art talent! Mirror Mirror on the wall..who has the prettiest irons of all? The pictures make it very hard to see what you've done to the irons. Erik if you read this could you please change the title for me.. I feel if they are googled it can really hurt their business. Just another update, the issue is fixed even better. After having all this trouble, Steve from SubSeventy sent me an extra belt at no charge, and.. refunded my payment! I received my money back in full for my troubles. Although I feel bad and still insist on paying, maybe even half at the least. Again Ignore the title, I was just angry and didn't think of the outcome at the time of posting. Subseventy is a great company to deal with, their customer service is A+. and will do everything you can so that you get your product, if it even means sending out a couple more to make sure you get it. I WILL buy from this company again in the near future. No! XBOX 360 Rings of death! I find the elite to cost way to much just for more room and a different colour. I can't even use 20 gigs. Its new driver time!! but i need help..
Maybe sell your driver first and then looking into getting one if you have 0 money. I can't wait to get my license! I just got the biggest dissapointment of my life today. An old thread, but im bringing it back up. I went for my roadtest today, and in Manitoba there are stickers on your liscense plate that indicate when your insurance for your car expires. As the instructor is evaluating the car to make sure all the lights are working, he says he will be right back and he goes inside. He gets me out of the car, and tells me that the stickers are on the wrong side of the liscense plate, so He told me I couldn't do the test!!!! Like COME ON!!! I've been waiting for about a month now, and now I have to wait 10 days to take it again. Ahaha I don't know how you find all these good videos, but they are just great! Ah, its too late now, this thread is basically finished. All problems have been resolved. Ah wow, look at all those posts. Sorry guys, haven't really been on here that much anymore since golf season is over: Recieved a PM from subseventyguy about the belt when I filed a paypal dispute. It appears I was dealing with two different people. I was dealing with one on a paypal dispute who was slow to respond to my questions, but did so later on. Then Subseventyguy emailed me personally and apologized for the mishap. After all this I do appreciate their customer service. Because I never got my first belt, he sent out another white belt for me, and at no charge included an extra black belt! I was really happy with that. He also sent me a tracking # so I could track the package this time. Again I apologize for the title of this thread, as it is definatly misleading. I was just really frustrated at the time and Posted a stupid title. Of course I don't feel the same way anymore. Should have my belt soon. Although I am slightly concerned with the tracking as soon as I saw this: Type: Package Status: In Transit Shipped To: WINNIPEG, NS , CA Shipped/Billed On: 06/10/2008 Service: GROUND Weight: 1.00 Lb It says NS which I presume stands for Nova Scotia. When it should infact be Manitoba. (MB) I'm sure that will effect shipping. 3 Wood into every par 3. 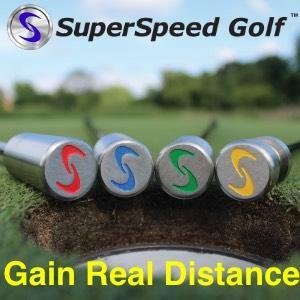 Hitting 4 irons 120 yards. Care to elaborate on what is correct then?